Jeb Bush is rightly considered to be the better Bush, but considering his father’s and his brother’s records, that is not saying much. For me to even consider him in 2016, he must speak honestly about both his brother’s record in office and President Obama’s record. I will accept neither “mistakes were made” nor the usual GOP lies. The only words I will listen to are honest ones. To be a successful, TEA Party conservative, a politician must have a short name of 7 or 8 letters combined that supporters can remember and spell, such as Mike Lee, Ted Cruz and Rand Paul. At 10 letters, Marco Rubio is too long; perhaps he should consider shortening it to Mark Ruby. Jeb Bush at 7 letters could make it if he changed some of his positions. Michele Bachmann failed as a successful TEA Party politician since her name is too long and too hard to spell. Here in Utah, Mia Love lost narrowly in 2012 and is expected to run again for Congress in 2014. Although her name is only 7 letters long, she has other factors against her success, including youth and gender. 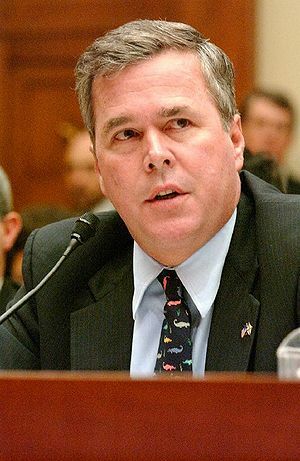 Now there is talk about Jeb Bush running for the GOP nomination for president. I am not a Florida resident and I have not been following his career in detail, but from here in Utah, he appears to have done a good job. I can foresee him running in the future when memories of GHW Bush and GW Bush have dimmed. At this time, I think that his last name would work against him in the minds of many voters. Fool me once, shame on you; fool me twice, shame on me. A third time–you’ve got to be kidding. 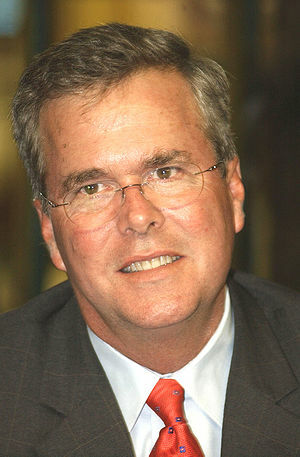 I think that if he were to run now, his best chance would be to change his name to Jeb None-of-the-Above.